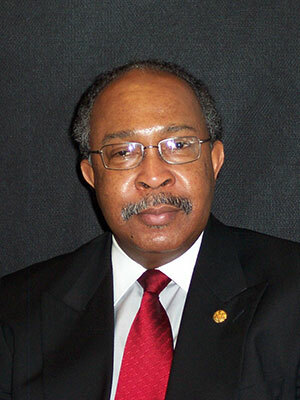 Dr. Johnny E. Braddy is a Captain in the U.S. Public Health Service Commissioned Corps, and is currently serving as Senior Policy Advisor, at the Food and Drug Administration's (FDA), Center for Food Safety and Applied Nutrition (CFSAN), Office of Food Safety, Division Dairy, Egg, and Meat Products. During his professional career, Dr. Braddy has served as the Assistant Deputy for Veterinary Activities in the U.S. Army at Ft. Belvoir, VA; Chief of the Regulatory Policy Branch, Office of Plant and Dairy Foods, Center for Food Safety and Applied Nutrition; Director of the International Visitors Program, Office of the Center Director, International Affairs Staff, Center for Food Safety and Applied Nutrition; Small Animal Practitioner/Director of Piney Branch Animal Hospital in Silver Spring, MD; and as a Veterinary Goodwill Ambassador to China, Russia, and Finland. Dr. Braddy earned his DVM degree from Tuskegee University School of Veterinary Medicine and his MPH degree in Epidemiology from the University of Michigan. He is Diplomate in the American College of Veterinary Preventive Medicine (DACVPM). The Food and Drug Administration (FDA) has regulatory authority over non-amenable species including game/wild animals and their meat products. Some non-amenable meats, especially bushmeat, which are sold in street markets and ethnic restaurants, have raised public health concerns. In some cases, the meat may harbor infectious agents that could cause human disease and these agents are not destroyed by smoking, drying, salting, or brining preparations. It is the FDA’s responsibility to implement the food and drug laws to protect and promote the health and economic interests of the American public.